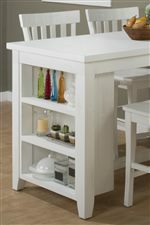 Posh white finish over reclaimed pine highlights Jofran's newest collection, Madaket. Beefy silhouettes, solid construction, and a rustic finish paint a beautiful beach picture in any home. Coordinates with any piece in our Madaket collection. 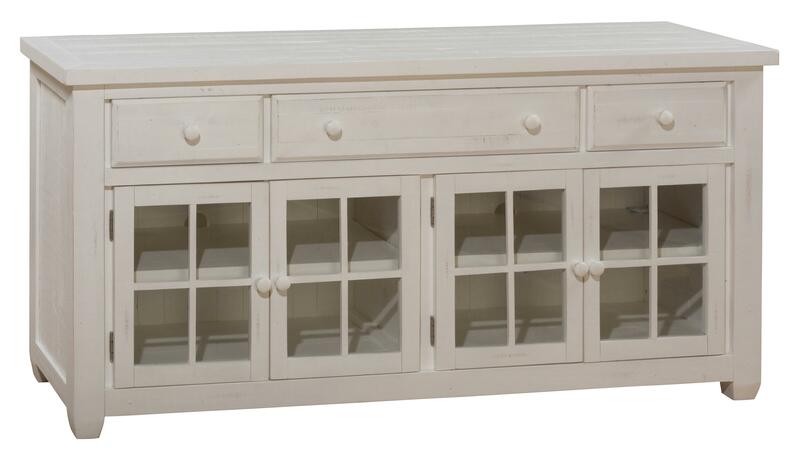 The Madaket Media Console by Jofran at HomeWorld Furniture in the Hawaii, Oahu, Hilo, Kona, Maui area. Product availability may vary. Contact us for the most current availability on this product. Storage Three Drawers. 4 Glass Picture Frame Doors. Middle Drawer Dimensions: 26"Wx14"Dx3.5"H. Side Drawer Dimensions: 11"Wx14"Dx3.5"H. Cabinet Dimensions: 27"Wx16.75"Dx17.5"H. Each Cabinet has a fixed shelf 8" from the bottom.